Welcome on my page! I am the Admin here, to contact me join our Slack Channel and message @joe_rondx. If you find this Wiki helpful you may consider a little donation to keep it alive and updated. 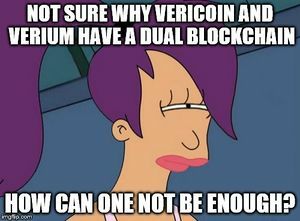 Yes, it's the same address for VeriCoin and Verium - we are going for THE Dual Blockchain :) . 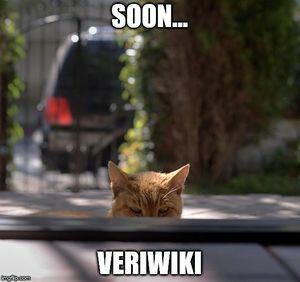 Dear Wiki Visitor, it seems you have come this far to know more details about me - the guy who watches over this veri Wiki. My name is Jochen Röndigs and I live in Bielefeld, Germany. My name is hard to pronounce for native English speakers, so "Joe" is just perfect. I am a student of Numerical Mathematics working on my PhD at the moment. I did not study that straight, I was running my own company for 10 years and by now already reached the age of 40. During my self employment I worked on many fields: coding (HTML/PHP/MYSQL), marketing (fairs, community), logistics, etc. . I have just recently joined the crypto community and while I was learning I decided to directly document my newly gained knowledge - and guess what I did: I created a Wiki (Joes Mining Walkthrough). Needless to say that when the community was talking about a wiki that request was kind of made for me. 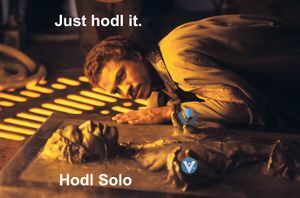 My decision to hook onto the VeriCoin & Verium train (rocket to the moon) might not have been driven by experience (did I say I'm new? ), but I have been following the development and community closely by now and I am sure this is the place to be. I also hope to get a good understanding of the technology, well, at least as far as the wiki will cover it. This page was last modified on 30 March 2018, at 17:41.